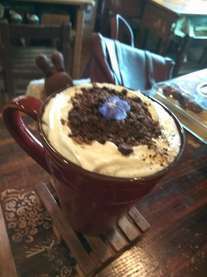 Treehouse Cafe Serves Coofee, Drinks, Food&Dessert, Brunch, Dinner, and some DIY stuffs. ﻿Base on the old beautiful house, we will hold regular and irregular events. We currently invite everyone to build a new treehouse in this Sping(2017) and the folling treehouse market. Treehouse Cafe is beside NCTU and the exit of the Hight Way. If you take bus to NCTU, just walk three minute you will be here! Have you ever had a tree house dream when you was a child? 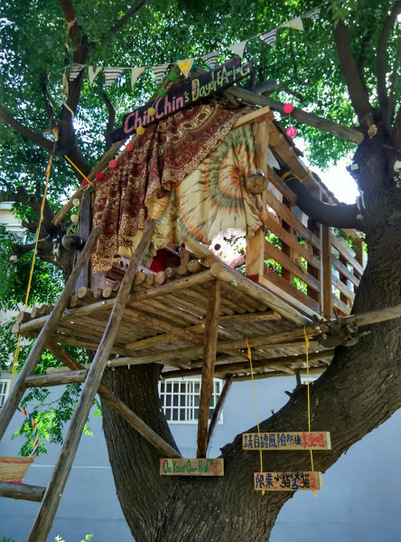 On June, 2015, a beautiful litttle tree house--Chin Chin's Daydreaming was borned in Lee Kong Village, Hsinchu. This is a story that a girl transformed her daydreaming into the truth. 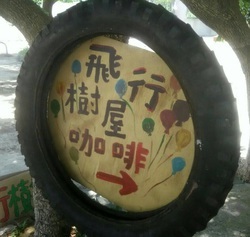 However, the girl has a bigger dream, that is to tie lots of balloons with a tree house and let the dream fly. 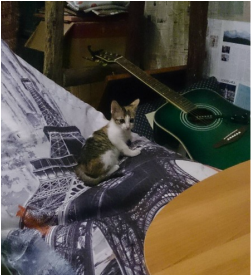 The plan will be held in a beautiful old house whitch let the girl fall in love in the first sight and it is in a lovely little military village(a special village in Taiwan where old soldiers live) in Hsinchu. The girl will build a flying tree house like the one in the Pixar movie "UP" which is her favorite movie. she will change the old batted brick house to a fascinating little cafe bar，and make this place a begin point and spread out to the whole military dependents' village, make those heavenly idle houses and places here to be used in culture or public welfare event and to build culture settlements in this technical city, Hsinchu. Wanna be a maker? On 2017 Spring, we will build annother tree house and invite you to come and join us! Contact Treehouse Cafe to get more information!